In our rare disease themed month, we interview Alan Thomas, ataxia patient and chairman of Ataxia South Wales, on unmet needs in this space. Alan Thomas has Ataxia – a life-limiting, neurological rare disease. To mark our rare disease themed month and rare disease day 2014, we interviewed Alan. 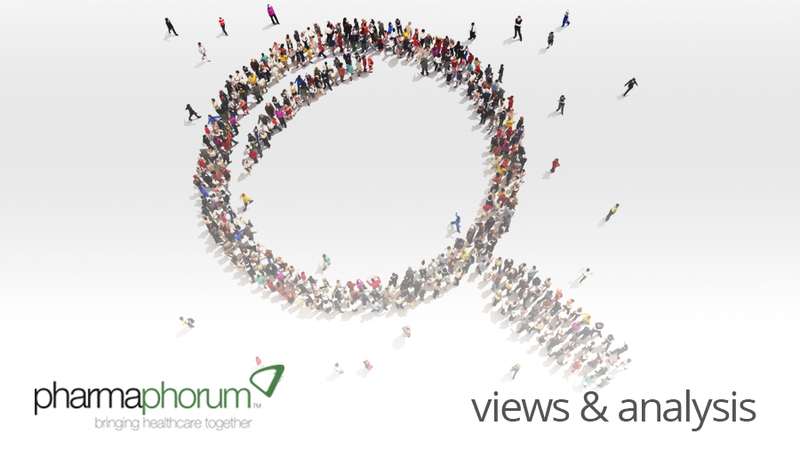 Here he shares his experience with pharmaphorum’s Rebecca Aris and discusses how powerful the internet can be to patients such as himself in giving them a voice. RA: Alan, thank you for agreeing to take part in this interview for pharmaphorum’s rare disease themed month and for rare disease day 2014, could you please start by telling us about your experience as a patient with Ataxia? AT: It is a great pleasure to speak with you to mark Rare Disease Day 2014. My name is Alan Thomas and I am chairman of Ataxia South Wales. Ataxia is a rare disease of the Cerebellum (which is often called the “small brain”) Ataxia affects the balance, co-ordination and speech. Often patients with Ataxia are accused of being drunk, which in itself is very frustrating, as Ataxia is an “invisible” disability. I retired for health reasons from being an electrician (it was NOT safe, for me or others – working with high voltage circuitry and having a co-ordination problem, is NOT a good idea!). Making sandwiches, for my packed lunch, every day, was becoming a task – spreading butter on bread is something that people take for granted – I was having to concentrate on doing this on an increasing (and alarming) regularity. TIME to seek advice from the doctor. Well the first few visits to the GP, were just the basic – you’re tired – take some time off work. Lots of tests later including another MRI and Lumber puncture, and I was told to give up work, I had Ataxia, there is NO cure and it is degenerative. After understanding this Life changing news and discovering the lack of information about Ataxia, I took it upon myself to try and change this for the better and benefit of other Ataxia patients. Along with finding and sharing information on Ataxia I become aware of the need for information on Rare Diseases, was needed, and so my Rare Disease Awareness adventure took hold. RA: What do you see to be the unmet needs of patients with ataxia? AT: Ataxia, indeed Rare Disease patients, NEED information to enable them to live their life to the best and inform them whether they will live an independent life or (as with many degenerative conditions) require the support of family, or even carers, on a regular basis. Many rare disease patients experience the same or similar symptoms and sharing this information and knowledge is beneficial to the whole rare disease community. An example of which is livingwithataxia.org from which I manage on a UK / Global basis. It is a support website / network providing support an information to the Ataxia community via a global platform. Using the internet has made a big difference in undertaking this enormous “awareness” and information sharing task, via websites and social media, especially as using the internet “gives you a voice” (good if you have a condition that effects your speech). It is an excellent tool for networking and exploring the rare disease community, whether it be on a local, personal basis or gaining experiences from the medical / pharmaceutical industry, all of which is enhancing the patient’s LIFE. As part of my “Adventure” I am lucky to have many collaborations with many Rare Disease and disability organisations, in Wales, UK and worldwide. I hope that I can make a difference in the Rare Disease World. Please don’t forget – Ataxia is NOT a foreign Cab! Alan Thomas is The chairman of Ataxia South Wales. Closing thought: What common problems do you think face people with rare diseases?